The 11th national polls would be held on December 30, according to the revised schedule announced by the Election Commission. Four days earlier of this announcement, it was set for December 23. The Jatiya Oikyafront and the BNP-led alliance finally announced that they would participate in the election. The largest Islamist party, Jamaat-e-Islami, lost its right to contest in national elections, while its central leadership, many of whom were languishing in jail during the last national election in 2014, have since been executed, defying international outcry. They will also take part in election independently. 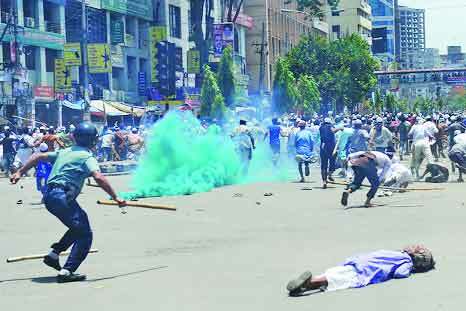 In such situation, this is a long-awaited election for the people of Bangladesh. After 10 years they have got the opportunity for electing their representatives in the parliament. The question is that how much fair an election will be under the ruling party. Will it become the festival of democracy, or the nation will witness a managed and rigged election? Ruling Awami League party rejected opposition party’s demand for a caretaker government ahead of the election. The opposition Bangladesh Nationalist Party (BNP) says that a caretaker government is essential for free and fair polls, but the ruling party says the demand is unconstitutional. Following EC’s announcement, BNP secretary general Mirza Fakhrul Islam Alamgir said, “there is no reflection of public wishes and expectations in the schedule and it is moving toward a unilateral election.” The BNP, which is in disarray following the jailing of its chief, former prime minister Khaleda Zia, on corruption charges, had also pressed for a caretaker government at the 2014 election and boycotted it after the demand was not met. After 10 years they have got the opportunity for electing their representatives in the parliament. The question is that how much fair an election will be under the ruling party. Will it become the festival of democracy, or the nation will witness a managed and rigged election? The election would be credible, when rules, regulations and laws governing the electoral process will be followed by and ultimately, the credible candidate will be freely and fairly elected to represent the electorate. The announcement came as various political parties were still demanding talks with the government to set up modalities that could ensure a free and fair election and left major politically contentious issues unsettled. Oppositions demanded the current parliament dissolved, and an election-time special cabinet installed, one not led by current Prime Minister Sheikh Hasina. Sheikh Hasina and her party, on the other hand, insisted that both the current set of parliamentarians and the prime minister should stay in power during the upcoming election. Is It a Controlled Election? Because of the deep-rooted mistrust among politicians and a vicious zero-sum political culture, Bangladesh had installed provisions for election-time caretaker governments under which four previous elections – 1991, 1996, 2001, and 2008 – were held. 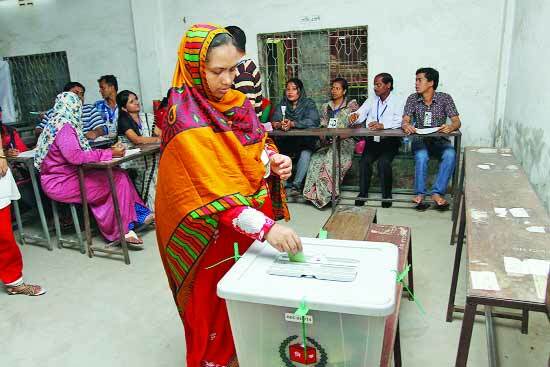 The constitutional provision for election-time caretaker governments was abolished during the tenure of Sheikh Hasina prior to the 2014 parliamentary elections, which the opposition boycotted, eventually handing out the ruling party 50 percent of the parliamentary seats uncontested. Political observers soured on Bangladesh’s democratic prospects since that election, some going as far as to term the entire 2014 affair as an electoral farce. Hasina and Khaleda, who between them have ruled Bangladesh for decades, are bitter rivals and the BNP says its leader has been jailed on trumped-up charges to keep her out of politics. Separately, certain civil society groups and activists have also criticized the country’s new Digital Security Act, and a new Broadcast law that is under consideration, warning these regulations would erode free speech in the country ahead of the election. Relative to her beleaguered opposition, Sheikh Hasina is an authoritative leader with unparalleled political dexterity and geopolitical acumen. Under her leadership, Bangladesh Awami League was able to crush its political adversaries, while forging numerous alliances of convenience with fringe political elements both secular and religious. After 10 years in power, Sheikh Hasina’s party has penetrated all layers of the key state organs of Bangladesh by appointing personnel favourable to the party’s agenda. This allowed the party to govern unchallenged. As the establishment of one-party dominancy by the Awamy League, there is no guarantee to hold a free, fair and credible election. 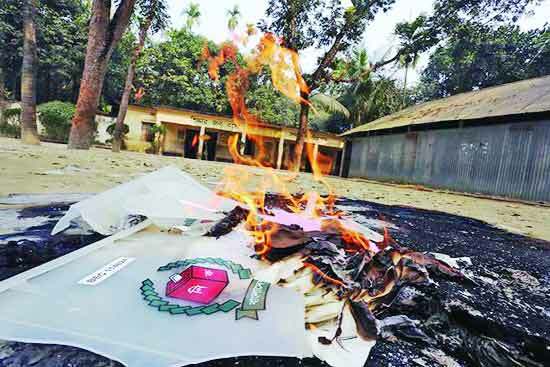 The electoral system of Bangladesh has been largely damaged by the ruling party AL. The local elections under this government have been the example of so controlled and much rigged. The Election Commission has also proved to be weak. All are exposed once again the need for reforming institutions like the EC and law enforcement agencies. Thus the five mayoral elections indicate the rise of a new model of election just five months before the parliamentary polls. Evidently, the ruling quarters and the Election Commission not only missed out an opportunity to win the confidence of people and the opposition political camps but also proved that it does not have the political will to hold free elections due in the last quarter of the year. Moreover, the police, administration and even Election Commission are working as the party cadres for the favaour of Awamy League. So this national election is not so hopeful for a fair and credible election. All will be cleared more on December 30. 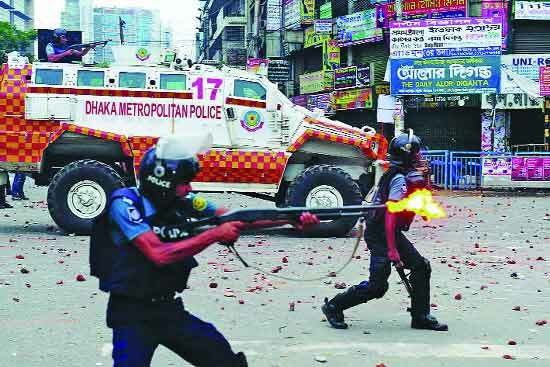 Bangladesh has become increasingly authoritarian under Sheikh Hasina, and in some aspects, it is now a de-facto one-party state, where the ruling party has usurped even the most basic constitutional rights of its political opponents and citizens. Arbitrary arrests, detentions, disappearances, and extrajudicial killings of political personnel have increased alarmingly over the last 10 years. Special security forces regularly engage in activities akin to death squads, operating with total impunity, killing political opponents of the government, often under officially sanctioned missions billed as “anti-terror” and “anti-drug” operations. Under an increasingly authoritarian style of governance over a decade, Bangladesh’s ruling party and its cronies monopolized both the country’s politics and business. Large sums of cash left the country to safe havens abroad and income inequality measures went through the roof. Bangladesh registered the fastest growth in “Ultra High Net Worth” people over the past five years. 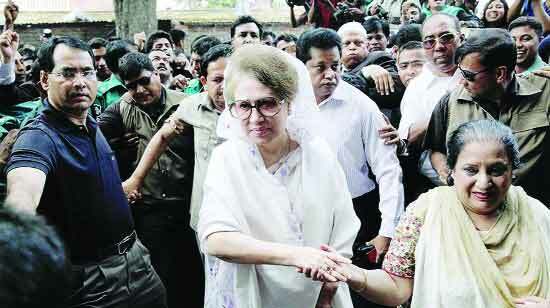 Begum Khaleda Zia, leader of the country’s largest secular opposition party Bangladesh Nationalist Party (BNP), was put in house arrest during the 2014 election. This time around, she is in special jail serving 10 years imprisonment on “corruption” charges. Her son and heir apparent, Tarique Rahman, has been in exile in London for the past 10 years, from where he is running the party as its acting chairman. One of the lower courts in Bangladesh recently sentenced Rahman to life imprisonment in absentia for a grenade attack on Sheikh Hasina which took place fourteen years ago. Finding the country’s major opposition leaders in jail, in exile or already executed, some of the remaining anti-government politicians have created an alliance to force a free and fair election. However, within weeks of its formation, the new alliance faced the wrath of the state machinery. Moinul Hosein, one of the central alliance figures was sent to jail for calling a journalist “characterless”. Amir Khasru, the senior BNP leader who was handling western diplomats, was sent to jail for “hatching a conspiracy” against the government. Dr Zafarullah, another central figure of the alliance, had numerous charges filed against him, including one specific charge of “stealing fish” from a pond. This national election under the ruling party is the big test for proving neutrality. It is the duty of Election Commission for holding a fair election, and the government also should show the sincerity to make credible the polls. Not only the political leaders but also anyone talking against the government is now a target of several repressive machinations installed by the government for constraining political speech. For example, the newly passed Digital Security Act 2018 makes it a crime punishable by 14 years in prison for anyone defaming the father of the prime minister, who was the first president of Bangladesh, also referred by many as the “Father of the Nation”. The parliament recently passed another draft law, named “Broadcast Law 2018”, which will jail anyone for seven years for making false statements on TV talk shows, the only remaining space for public political dissent. The election is one of the key components in ensuring democracy because they “enhance citizens’ participation in governance, ensure government accountability and encourage political competition.” The free, fair and credible election is one of the basic and crucial prerequisites and elements of democratic government and governance. Finally, outcome of the election or counting vote would be accurate and legitimate. Thus, when all the four variables mentioned above will be available in the process, conduct and outcome of an election, that election could be considered to be free, fair and credible. But the Election Commission ignores the violation of electoral code of conduct by the ruling party members. Moreover, opposition activists suffers harassment by law enforcement agencies. For example, in the city election, according to media reports, ruling party activists used force in Gazipur, Khulna, Barisal etc. 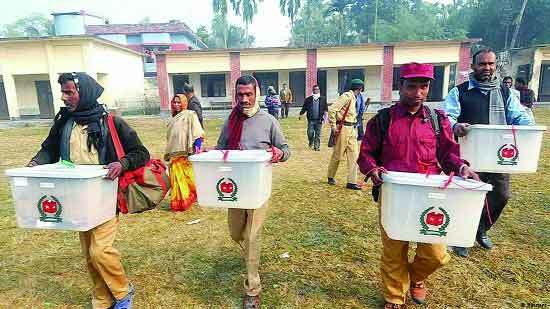 Casting false votes and stuffing ballot boxes by temporarily capturing polling centers, and creating an intimidating environment and indiscipline in and around polling centres are among some of the excesses they indulged in. One important characteristic of ballot box stuffing with forced, fake voting is that, with increases in the turnout rate, the vote share of the winner increases at a rate faster than the turnout rate, and the vote share of his/her nearest rival decreases at a rate faster than the turnout rate. This national election under the ruling party is the big test for proving neutrality . It is the duty of Election Commission for holding a fair election, and the government also should show the sincerity to make credible the polls. Only then the election can be the festival of democracy. Writer : A political analyst.